Very concentrated whey protein hydrolyzate tablets. If you are looking for a reliable source of nutritious protein - it will be the best choice! 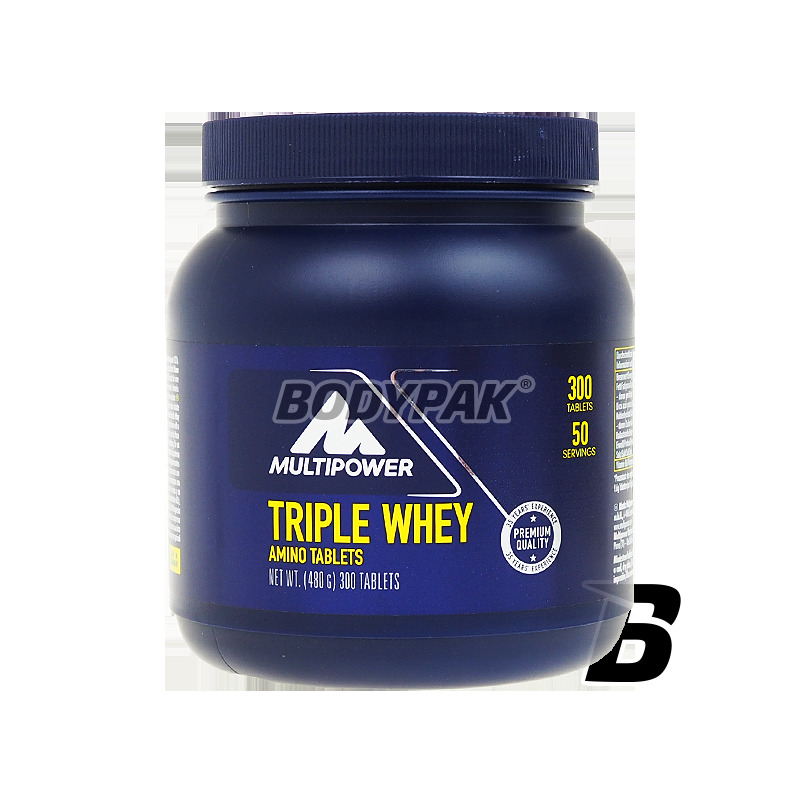 High-protein food supplement Multipower Triple Whey Amino contains a full complex of all amino acids, both exogenous and endogenous. Essential amino acids are used primarily for building muscle proteins and other proteins of the human body. However essential amino acids are used for the construction of regulatory proteins, transport proteins, enzymes and other binding harmful organic compounds produced during metabolism. 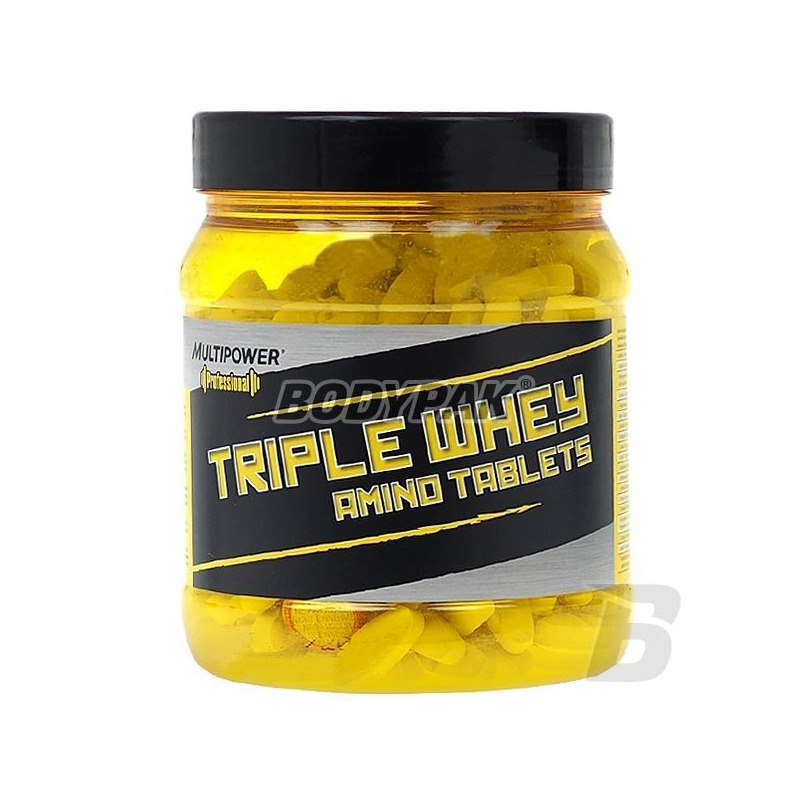 Thanks to this amino acid supplement Multipower Triple Whey Amino is a strong anabolic and anti-catabolic. Prevents combustion energy own cell protein. 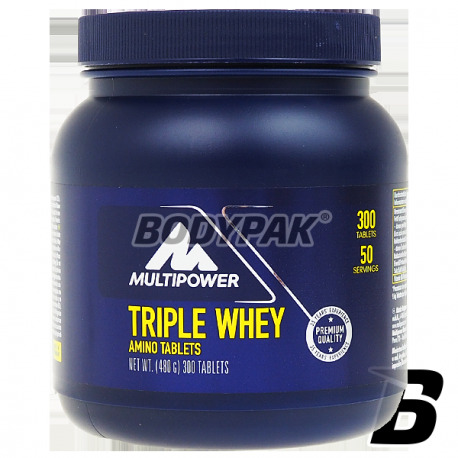 Amino acid supplement Multipower Triple Whey Amino is enriched in vitamin B6, because its presence is essential for the synthesis and metabolism of proteins. Składniki: koncentrat białek serwatki 45%, hydrolizat białek serwatk 22%i, izolat białek serwatki 22%, zagęstnik: guma celulozowa, substancja przeciwzbrylająca (sole magnezowe kwasów tłuszczowych, dwutlenek krzemu), witamina B6 (chlorowodorek pirydoksyny).